In Balkan football arena we are far from ultras culture although some groups have been trying to adapt themselves into. Is there any future for Balkan countries? As I said before the Balkan country are quick terrific regarding the adoption of the ultras style, just have a look at Bulgaria, Romania, the ex-Yugoslavia’s republics. They all have very well organized ultras group. For Greece and Turkeys it is a bit different, and they are now the most fanatical groups of fans who get to reproduce some of the ultras techniques, but they are a mix of their national football fans traditions and Italians ones. I am not sure that real ultras group, will raise in Greece and Turkey, they will always be a mix of the two situation. There is a Livorno trend last few years. What about them? Do they deserve this political position in football or they also changed like other Italian ultras? This Livorno trend exist in a lot of European countries. That’s seven years that I go and see games of this team, and since I have always saw European football fans with left wing position who went their as pilgrims. 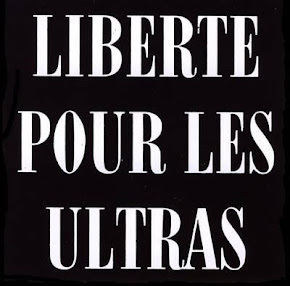 With the foundation of “Brigate Autonome Livornesi”, a new style appear in the ultras world. A radical political ultras, who use soviet symbols and have a kind of very well organized group (which was not the case of most of the left wing group, who were more chaotic). In fact the use of the Stalin pictures, was not only for the form but a bit also on their mentality with very charismatically leaders who impose a real direction on the whole north stands. With the new technology, Internet but also the fans magazine, the ultras of Livorno who were in third division were begin to be famous in all Europe. And the possibility to travel for very cheap price take a lot of people in Livorno to have a look to this “soviet” ultras. But they were not the first left wing ultras. 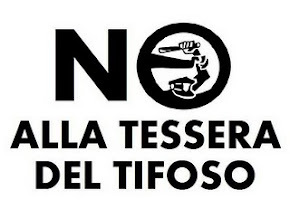 A lot of group as I said before were also claiming the same political opinions (Ternana, Atalanta, Ancona, Empoli, …). But the particularity of them is that sometimes they were more political flag than the one of their team. Do they deserve their political positions, hard question… Yes and no. Yes because Toscany and Livorno had always been a “red place”. Livorno was the city were was founded the Italian Communist Party (P.C.I.) in 1921 and it is a working call area. The “Brigate” use to be very sensitive to the political actions also, but mainly they were an ultras group who was doing time to time some “political actions” (protest against war in Afghanistan and Iraq on the terraces with banner, social action like fund raising for NGO, demonstration in Firenze against the war in Iraq at the European Social Forum,…) but they have never been a real political group. On the other hand, they was too much political symbols and not a real long term political action. Their big rival, the ultras of Pisa have been also quit active in the social field and don’t use so much political rhetoric for example. Since the end of “Brigate Autonome Livornesi” in 2006, new group came out: “Livornesi” the main one, and a smaller crew call “Visitors”. None of them, who are mainly form by formal leaders of BAL don’t use so much this political icon’s, but more the symbol of the city and the color of the team. They still are left wing of course. Who was the personality you met in your life, that made most impression on you and who do you think was the one that had more influence at your general thinking and mentality after? It is difficult to answer such a question. They are too many people who made me a positive impression, so the older ultras of “Commando Ultrà 84”, my formal group. They are 4 or 5 people who give me the passion for this world, the mentality to understand the ultras way’s of life, first I can talk about Julien, who was totally fascinated by the Italian ultras and who help me to enter in such a world. I was just seventeen years old when I met him, and he “teach” me a lot. Then of course the leader of my group who were models for me. But to say some name will be difficult because I am now 31 years old, I decide to change direction, to stop my “ultras career” two years ago to follow my studies and I have a more critical point of view. So I have a different vision on this world. But one thing will remain for sure, is that even if I don’t go anymore to the stadium (I still go but 4 times a year, for me it is not an ultras but a simple fans) I still have the “ultras spirit” and it help me a lot in my everyday life, they are a lot of positive point about it an you can just found the energy to do some actions. Because ultras is not to content yourself of small things, but try to reach some high objectives. 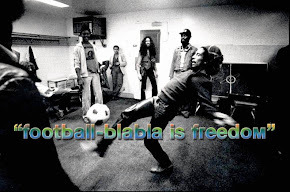 `Luxembourg against Racism`.. another big subject but connected… Montecchio-Casalecchio Mondiali… Exhibitions, actions… Do you like to tell us few words about? 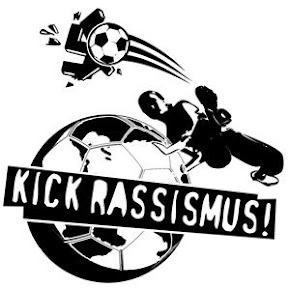 With some friends who leaves in Luxembourg and other outside who follow different teams but are connected by the same passion of the ultras worlds, we decide to do a team to participate to the biggest football tournament against racism. Each years since 1996, there is a rally in Italy organized by Progetto ultra’. At the beginning it was a small event organized to connected football ultras against racism. With the years, it begin to have a lot of success and the last editions took more than 5.000 participants from the whole world, mainly football fans from all Europe, migrants leaving in Italy and political and social association from Europe. So in 2003 we did for the first time a team who play there. We were really pleased about the success and decide to invite a friend of us which is photographer. She knew already the ultras because she came with us to several games and we wanted her to shoot some pictures for an exhibition. We wanted to show another side of the ultras world, not only violence and alcohol, but a more social side. So we candidate for some European outh program grant and get some money to do the project and in spring 2005 we made an exhibition about it in Luxembourg. The exhibition was also done in Italy, during Mondiali 2005 and we even get a prize from the organizer. We are more a friends association, but still we organize small events, like film screaning about social thematic, and now our main event, out of the participation at Mondiali Antirazzisti is to organize since two years a antiracist football tournament in Bosnia, in a village who is divided since the civil war in the nineties between catholic Croatian and Muslim Bosnians. We involve more than ten mix teams of the village and invite the winner of the competition to Mondiali. If you would choose to have one personality, one direction in your life… you would choose… Ultra`, professor or writer? 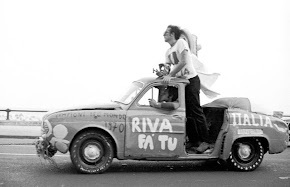 It will be very presumptuous to said that I am an Utra, a professor or a writer, even if I was an Ultras between twelve years, a professor it is too academicals even if I teach now History in an high school and writer, it will be also a bit pretentious, even if I publish a book. So I don’t know, how to answer here, maybe human being will be a perfect definition, because like everybody I made a lot of mistakes even as an ultras I didn’t follow at 100% all the ultras codes, the same as professor I have a bit a chaotic career before reach such a position and for my book now that I write another thesis about the subject I will criticize a lot of point that I write. So, I think, as ultras, we always try to reach some objectives, and most of the times we can’t reach them all so, I will be like this a mix of the three, an ultras who is trying to be a good professor and try to write the best as I can, and most important, the most honestly possible and all this, even if sometimes is not so great, is done by passion, not for money, but only with a big passion. I my everyday life, I met a lot of people from different backgrounds, and sometimes I am impress because the ultras are the most sincerer of them.